9 Unusual Writing Tips From @TEDTalks Speakers 6 Essential eBooks For Writers – For FREE! 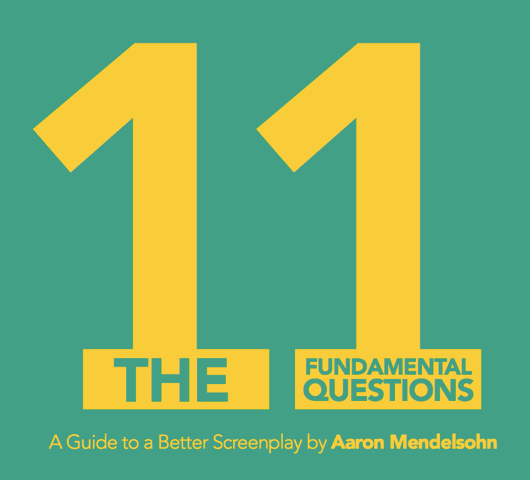 Many thanks to Aaron Mendolsohn who’s sharing a 20% discount with you lucky Bang2writers on his book, The 11 Fundamental Questions: A Guide To A Better Screenplay. Now, I’ve read Aaron’s book and what I like about it is how it’s so short and to the point, yet breaks down some really valuable pointers for any writer putting their concept under the microscope. It’s just 41 pages and illustrated, so not a tough read; plus it also relates all Aaron’s pointers to produced content, both recent and classic, so you can see his advice ‘in action’. I’ve written about the importance of concept over and over on this blog, so can recommend Aaron’s book without hesitation. But don’t take MY word for it check out these words of wisdom from Aaron himself … And if you like what you see, check his book out and claim your discount as a Bang2writer. I don’t love the story-breaking process. It’s like putting on sunscreen when all I really want to do is get outside and play with my kids. It’s like doing push-ups before breakfast. I whine about it, I put it off, I dread it every time. And every time, I’m really, really glad I did it. Being a stickler about my story-breaking is one of the key reasons I’ve managed to sustain a 20+ year successful writing career. Early on I was pretty informal with how I did it, but as time went on my story-breaking started crystalizing into a method that I would repeat with each new feature and pilot I commenced. My method is simply this: I ask myself a series of questions that prompt ideas about key character and story points. Once I answer the questions to my satisfaction, I start filling in the story until I have a detailed outline. I have 11 questions in total. Questions #1 and #2 are fairly intuitive: “#1: Do I know what my story is about?” and “#2: How am I honoring and subverting my genre?” Storytelling 101 for sure, but I have found that taking the time to answer the “easy” questions with a good, thoughtful paragraph or two always adds substance and nuance to the under-developed notions that tend to bounce around in my head – and always improves upon them. In that one sentence I summed up the Central Character (the king), his Fatal Flaw (arrogance), the main antagonistic force (his stutter), the Journey (working with a speech therapist), the Climax (the speech) and the stakes (unifying his kingdom). The next two questions are more challenging and require more thought. 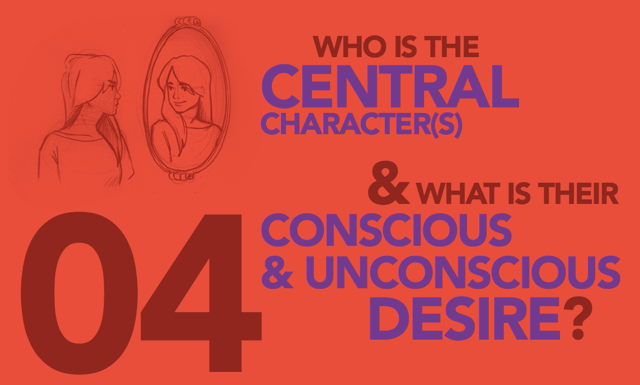 “#3: Who is my Central Character(s) and what is their Conscious and Unconscious Desire?” is an important one because it prompts me to write a character bio and spell out the dilemma and conflict that will drive the central character’s journey. Story-related questions like “What is the Overarching Conflict?” and “What is the Central Character’s Lowest Point?” are good because they help me navigate the bewildering badlands of the Second Act. Neo can only be the One when he believes he’s the One. For “Selma”: Martin Luther King knows that Selma is the key to the Civil Rights Movement. For “Mad Men”: Don Draper’s worst enemy is himself and the shameful past he’s trying to escape. It’s like a thesis your story is testing out. The remaining 7 questions focus on character development, stakes, antagonistic forces and important story beats. I use the 11 Questions to stress test every story I’m breaking, whether it’s for a feature screenplay, pilot teleplay or TV series pitch, but it works equally well for books, plays and web series too. But it only works if I answer the questions truthfully. If I try to “cheat” and come up with an answer that’s vague or that twists a notion I already have in my head so it kinda-sorta answers the question, I’m not doing myself any favours. That’s just lazy writing. When I answer truthfully, and with thought and substance, I end up with stronger story bones and, ultimately, a better screenplay. Asking yourself the tough questions – whether they’re my 11 or your magic number – is a great way to stimulate ideas and make sure your story-breaking is on track. Because – to cite the Central Idea of “The Money Pit” – without a sound foundation, the house will collapse. BIO: Aaron Mendelsohn is a working screenwriter, a professor of screenwriting at Loyola-Marymount University, and the Secretary-Treasurer of the Writers Guild of America West. He is best known for Disney’s AIR BUD, which spawned eleven sequels. Current projects include a Warner Bros feature, a Spike TV drama series and a Hallmark movie. Aaron’s story-breaking method is now available as an ebook: THE 11 FUNDAMENTAL QUESTIONS: A GUIDE TO A BETTER SCREENPLAY. For a limited time he’s offering a 20% discount to Bang2Write readers. Go to www.11questionsbook.com for more information.